What's most surprising, though, is how seriously accurate Aduba's depiction of Piper Chapman is. Her delivery is on point, and besides, if you squint a lot and stand across the room from your computer screen, she kinda looks like Taylor Schilling in that wig. Right? The Alex impression isn't too shabby either, although Alex impressions on OINTB are pretty high standard, generally speaking (remember when Nicky did that awesome impression towards the beginning of Season 2? Oh, you haven't gotten there yet? WELL GET EXCITED). 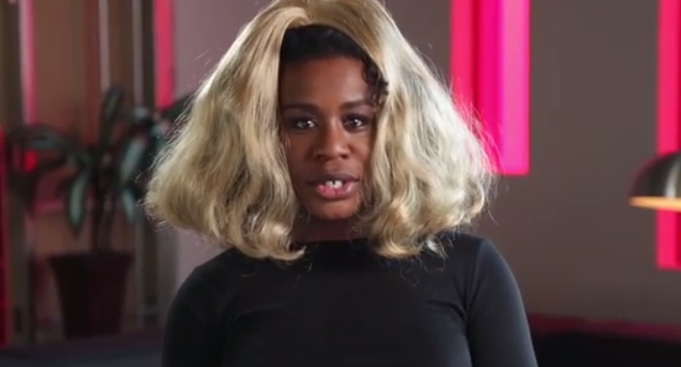 Aduba would have been a worthy part of the OITNB ensemble as any character, but I'd be lying if I said I wasn't glad that she ended up as good old Crazy Eyes.